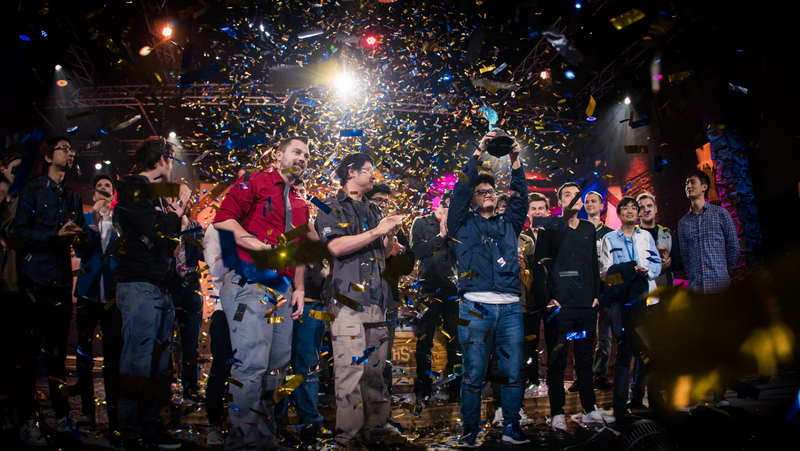 The Hearthstone World Championship was the culmination of nearly a year of competition. Sixteen of the best players from around the world had earned the right to fight for a $1 million prizepool. Just two players were able to reach the grand final, Chen “Tom60229” Wei Lin and Frank “Fr0zen” Zhang. After Fr0zen took a 2-0 lead, it looked hopeless for Tom. Fr0zen was just one game away from victory, and Tom would have to mount the comeback of all comebacks to have a chance of winning. Suddenly, both players were showered in confetti. Oh no. It’s every event organizer’s worst nightmare. At the moment when the most eyes are on your tournament—nearly 300,000 people were watching this game—something goes wrong. Luckily, the confetti had come down between games. It only created a funny moment that possibly got eyes on the tournament that never would have given it a second look otherwise. If it happened during a game and thrown a player off, that could have been a big problem for the tournament. Once Tom did in fact complete that improbable turn around and lift the trophy above his head, there was thankfully still enough confetti to satisfactorily shower the stage and make it look good. Were some beleaguered stage hands frantically forcing confetti back into the machines while we were all locked in on the games to give us the finale we wanted? None of us can know for sure. It wouldn’t be Hearthstone without some lighter moments, even at the very highest peak of esports competition. In a way, the confetti mishap was exactly what Hearthstone is all about.